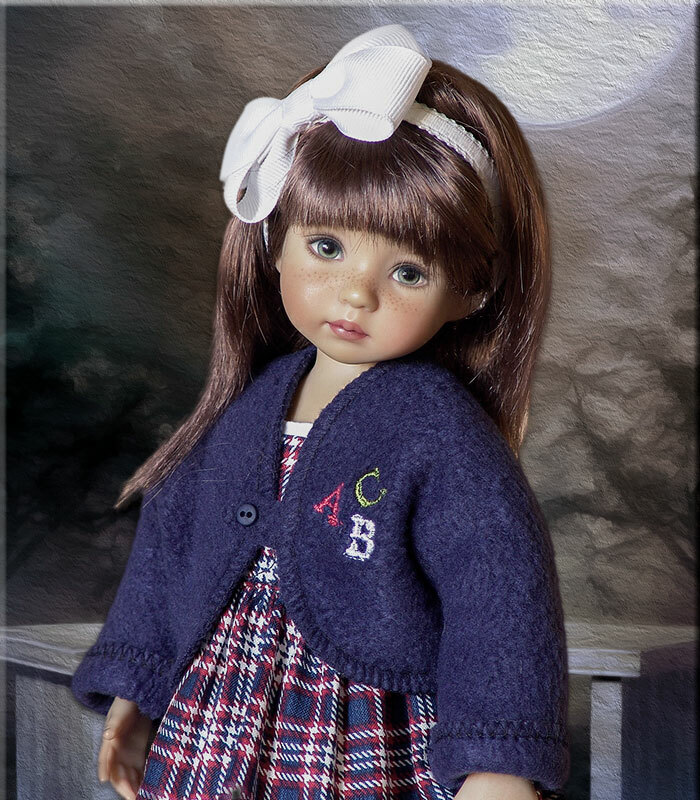 #081 School Days - 13"
Miss Lexi (13") is fashioning this darling 4 pc outfit. The dress is made from an white cotton batiste. The sleeves are accented with dainty white lace and the hem is blind-stitched. The bodice is lined and fastens in the back with two-sewn-on snaps. The pinafore is detailed with a custom designed embroidery design specifically created by me for this outfit. The pinafore straps are top-stitched and embellished with petite red buttons. The navy blue fleece cardigan features a coordinating embroidery design. The cardigan has a front tab and closes with a single snap.